This chapter describes a unified framework for the detection and correction of silent errors, which constitute a major threat for scientific applications at extreme-scale. We first motivate the problem and explain why checkpointing must be combined with some verification mechanism. Then we introduce a general-purpose technique based upon computational patterns that periodically repeat over time. These patterns interleave verifications and checkpoints, and we show how to determine the pattern minimizing expected execution time. 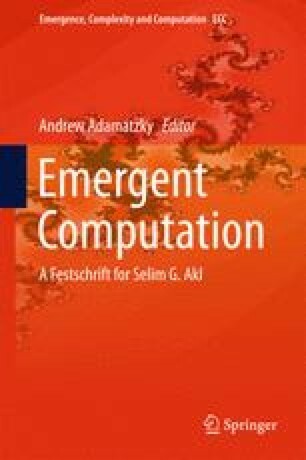 Then we move to application-specific techniques and review dynamic programming algorithms for linear chains of tasks, as well as ABFT-oriented algorithms for iterative methods in sparse linear algebra. Thanks to Selim Akl, by Yves Robert—I have a vivid souvenir of Selim’s visit to Lyon in the early 90s. Selim had obtained a Louis Néel fellowship devoted to promote exchanges between Canada and the Rhône-Alpes area in France, and he spent 6 months in Lyon with his family. Michel Cosnard was the head of the LIP laboratory at that time. Selim gave a course on parallel algorithms, mainly sorting and PRAM, that sparkled a lot of interest among both our students and the researchers in the lab. During his stay, Selim initiated several collaborations with Jean Duprat, Afonso Ferreira and Pierre Fraigniaud. Although I never collaborated with him, I would like to thank him for his vision. I was then a young professor in LIP, and I felt like meeting a star, but a very kind one. His two books, Parallel Sorting Algorithms and The Design and Analysis of Parallel Algorithms, had a huge influence on many researchers at LIP (including myself), as they helped shape our view of parallel complexity. Later on we all took different research directions (PRAM, hypercubes, systolic arrays, scheduling, routing, ...) but Selim laid the foundations of the field for us, and we are grateful to him.